Tove Jansson (1914–2001) was born in Helsinki into Finland’s Swedish-speaking minority. Her father was a sculptor and her mother a graphic designer and illustrator. Winters were spent in the family’s art-filled studio and summers in a fisherman’s cottage on the shore of the Gulf of Finland, a setting that would later figure in Jansson’s writing for adults and children. Jansson loved books as a child and set out from an early age to be an artist; her first illustration was published when she was fifteen years old; four years later a picture book appeared under a pseudonym. After attending art schools in both Stockholm and Paris, she returned to Helsinki, where in the 1940s and ’50s she won acclaim for her paintings and murals. From 1929 until 1953 Jansson drew humorous illustrations and political cartoons for the left-leaning anti-Fascist Finnish-Swedish magazine Garm, and it was there that what was to become Jansson’s most famous creation, Moomintroll, a hippopotamus-like character with a dreamy disposition, made his first appearance. Jansson went on to write about the adventures of Moomintroll, the Moomin family, and their curious friends in a long-running comic strip and in a series of books for children that have been translated throughout the world, inspiring films, several television series, an opera, and theme parks in Finland and Japan. 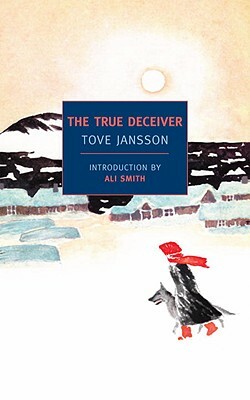 Jansson also wrote novels and short stories for adults, of which The Sculptor’s Daughter, The Summer Book, Sun City, Fair Play, and The True Deceiver have been translated into English. In 1994 she was awarded the Prize of the Swedish Academy. Jansson and her companion, the artist Tuulikki Pietilä, continued to live part-time in a cottage on the remote outer edge of the Finnish archipelago until 1991. Thomas Teal has translated Tove Jansson’s The Summer Book, Sun City, and Fair Play. Ali Smith is the author of seven works of fiction, including the novel Hotel World, which was short-listed for the Booker Prize in 2001, and The Accidental, which won the Whitbread Award in 2005 and was short-listed for the 2005 Man Booker Prize. "...as this narrative ticks forward, it becomes evident that a book of almost inscrutable intricacy is being built from so many simple, separate components gradually enmeshing. "